Turn your 7100 into a 7100 AV machine. HD15 out, plus S-video in and out. Palm 100 PDA. Comes with Sync cable from PDA to DB9 (PC serial). Software available for download on Internet. We don't use these so you are on your own but each unit is tested working. DB9 to USB adapter available for use with Mac. See USB cable category. Our $10 price includes domestic shipping. PowerKey Pro 200 by Sophisticated Circuits! - Used - Only $49.77 shipped! Assorted Brand USB Mouse - $5 with any order! Assorted Brand USB Mouse - not all functions may be available to all OS versions but work perfectly - $5 WITH any order! Note: The DVD-Video PC Card is not supported on the Powerbook G3 Series 1999 (with Bronze translucent keyboard) In order to play DVD-Video discs you will need to have the following equipment: PowerBook G3 Series Computer, DVD-Rom expansion bay module, Built-in active matrix (TFT display or external monitor). The video refresh rate of the 12.1" passive-matrix (STN) built-in display on certain configurations does not support full motion DVD-Video. For this reason an external monitor is required for full motion DVD-Video Playback on PowerBook G3 Series with a passive matrix display. Apple DVD Player and Quicktime 3 software (included on the Apple DVD Software CD that came with the DVD-Video PC Card) Specifications for the PowerBook DVD-Video PC Card, Interface: 16-bit Type II PC Card Maximum Power Consumption: 1.5 Watts, Decoding Standard: MPEG-2, Display Output Resolution: 720 X 480 at 30 Hertz, Format: NTSC Interlaced Video Video Interface: PC Card Zoomed Video (lower slot), Compatibility: DVD, Audio: Dolby Digital (AC-3) 5.1, downmixed to 2 channel Dolby Pro Logic, Output Channels: 2 Although the PC card does not provide 5 discrete outputs plus subwoofer to support AC-3, the PC card will downmix DVD discs with AC-3 output to two channel Dolby Pro Logic so the user can have sound playback with either the internal speakers or the 1/8" Stereo jack for external speakers. If the customer has a pro-logic receiver in line then the pro-logic signal will be available at the 1/8" jack This is a used tested card. Our $39.77 price includes shipping. Wireless LAN Mini USB Adapter. Portable, mini-size design. 54Mbps high data transfer rate. Supports USB 2.0 interface. Suitable for any notebooks or desktop PCs. Works with both IEEE 802.11b and IEEE 802.11g products. New in box. Windows 98SE/Me/2000/XP/Vista. PC ONLY! SparkLAN Wireless 802.11a/g Dual Band USB Dongle adapter. Ideal for home entertainment applications. Provides a versatile way to wirelessly connect to any one of three wireless networks 802.11a/b/g that operate in 2.4GHz and 5GHz frequency bands. 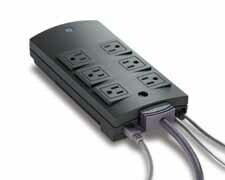 Simply plugs into USB port on laptop or desktop, eliminating the need to open your computer. Pocket-size design can be carried easily. New in box. Comes complete with USB cable and USB cradle for better connectivity. Windows XP/Vista. PC ONLY!! MyTunes Fitted Skins for use with iPod units. New in package. Dock friendly, shock absorbing. Specify iPod 20G or mini or shuffle (512MB and 1gig models). Only one of each in stock. Specify in Notes. $1.00 with any order. 802.11g Wireless LAN PCI Card. Works with IEEE802.11g & IEEE802.11b devices. 54Mbps data rate is 5 times faster than 802.11b. Advanced wireless security and 32-bit PCI interface. Wi-Fi/WPA compatible. Drivers and instructions included. Windows 98/XP. PC ONLY!! Wireless LAN Access Point. Complies with IEEE802.11b and 2.4GHz specifications. High performance data rate at 11, 5.5, 2 and 1Mbps network speeds. Multi-functional with built-in DHCP server to support auto IP address assignments. Also supports Web-based configuration. New in box. Comes complete with antennae, charger, mounting screws, and user's manual. Windows 95/NT. PC ONLY!! Sieko SII SmartPad....the connected notepad. It's the easiest way to capture handwritten notes, drawings, or maps and send them to your Palm Organizer. Simply write on an ordinary paper notepad, with the natural feel of pen and paper, and store them instantly for future reference in any of four major Palm Organizer applicatons via an infrared port. Images can be enlarged up to four times for detail viewing. New in box. For use only with Palm III series or later. Palm OS 3.1+. Windows 95+. Macally USB 2.0 Hi-Speed & Firewire PCI Card. Provides (3) 6-pin FireWire ports and (4) USB 2.0 hi-speed type A ports on one PCI card. Installs quickly and easily. System requirements are an available PCI 2.1 compliant slot and Mac OS 10.1 or later. Capture the moment with QuickCam, the first affordable easy-to-use digital video camera made by Macintosh. Resolution up to 320x240 pixels. Requires Mac OS7.0 or later and 4 MBs. Everything needed to make QuickTime movies and take still pictures. 1994 MacUser Editors' Choice Award finalist. The JLCooper CS-1 Control Station is the MIDI version. Includes TAO MIDI Drv Software V105 Call and make offer. 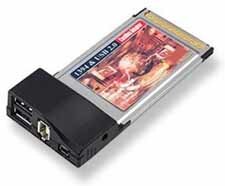 FireWire/1394a & Hi-Speed USB 2.0 Combo ExpressCard. Fits into either a Universal or 34 mm ExpressCard slot. If an ExpressCard/34 module is inserted into a Universal slot, the internal guidance feature gently directs the module over to engage the connectors. 2 Firewire 400 ports.One (1) 480Mbps Hi-Speed USB 2.0 port, Fully compliant with the lastest PCMCIA ExpressCard standard, Fully Plug-N-Play and Hot-Swap compatible, Supports Mac OS 10.4.x or later, Five (5)-year Manufacturer's warranty. Item may vary slightly from picture. Our $39.77 price includes domestic shipping. D-Link 10/100 Fast Ethernet Switch, Model DSS8+ with 8 ports. Complete with AC adapter. Used, tested. One only....order now. Shipping in US states included. 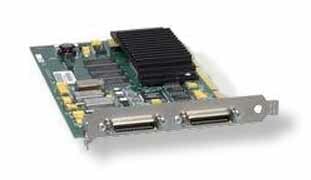 Asante High Performance Ethernet Card for Macintosh. This "E Series" card is designed to connect to thick, thin or 10baseT ethernet networks. One only. Order today.....shipping included. Pinnacle CineWave TARGA Cine Engine RealTime Video PCI Capture Cards for Mac! Pinnacle CineWave Classic RT PCI Capture Card - Uncompressed Real-Time Video Editing Solution for Final Cut Pro - Accelerator Card for Mac Based Motion Graphics Workstation. Used pull in good condition. No cables or software. $25.00 includes domestic shipping. Norton AntiVirus 9.0 CD only used. 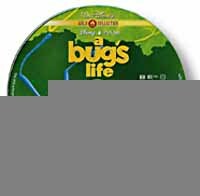 Back in the OS9 days there were a few viruses around and this disk will take care of them. I recommend running it from the CD rather than installing it since it can be annoying. For PPC OS9 systems. Our $9.99 price includes domestic shipping.